WALK THE WILD SIDE Not your typical red-soled Louboutin ware, but just as spectacular. The soft fabric is comfortable, the CL crest is luxe, and 10 per cent of proceeds from this ‘Africaba’ style’s sale goes to La Maison Rose, a French charity that aids Senegalese women. 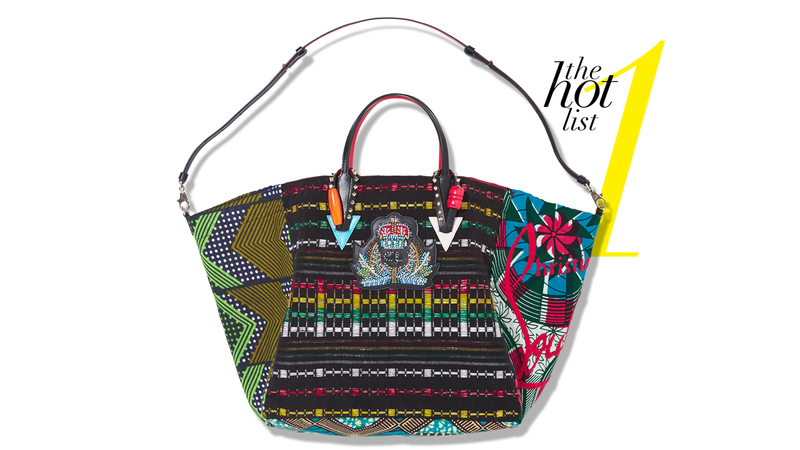 The ultimate limited edition – no two totes are the same. experimental accessories What happens when you mix feminine florals with bold monotones? These Velcro-strapped stilettos, which add prep to your step. 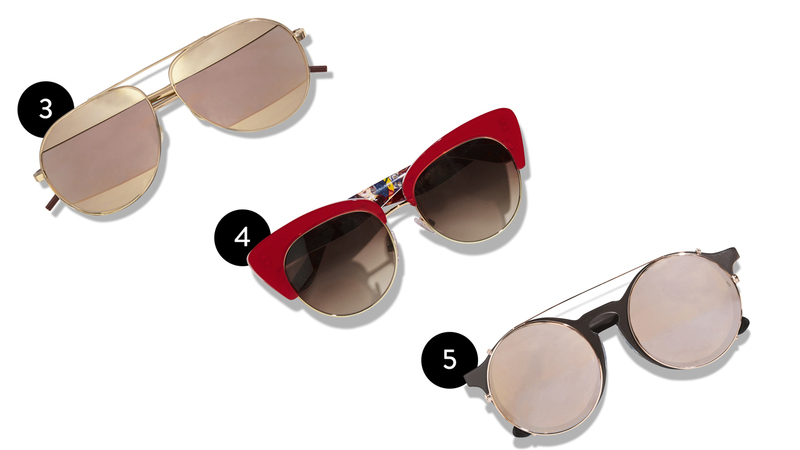 Bold shades are on-pointe this season, from the street-style fave Dior splits to crazy red cat’s eyes and these unisex Matahari (which means ‘eye of the day’ in Indonesian) glasses in the shape of the moment: round. 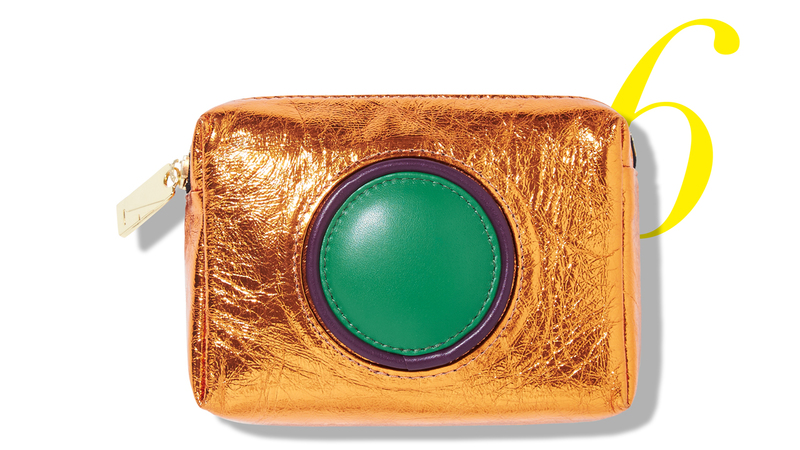 Shiny happy people This soft leather clutch is anything but tough to carry. Each piece has a gold plated logo discreetly tucked inside, but that’s probably the only subtle thing about it. The more cracked and battered it becomes, the better. 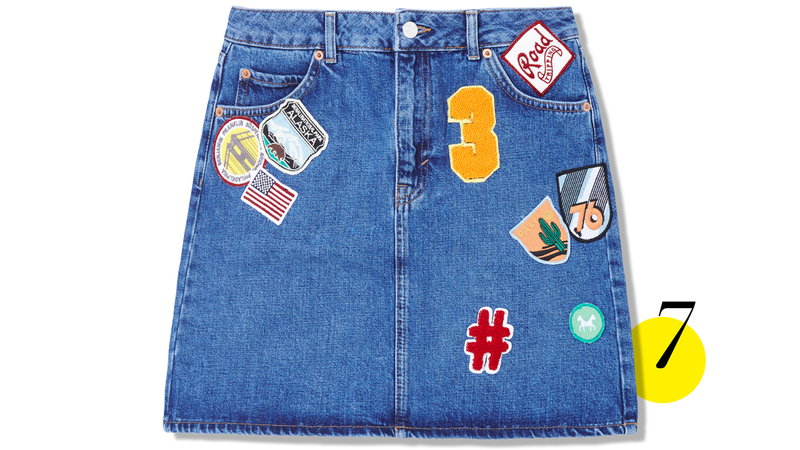 Retro 90s moments Moving right along from the patched jean-jacket trend, this college-patched A-line Moto mini is high-waisted simplicity, but supremely flattering. Hello, Route 66. Even if you’ve already tapped into the pompom craze, there’s always room for another if it comes in a perfect pink. Supercharged geek chic Why should hipsters have all the fun? 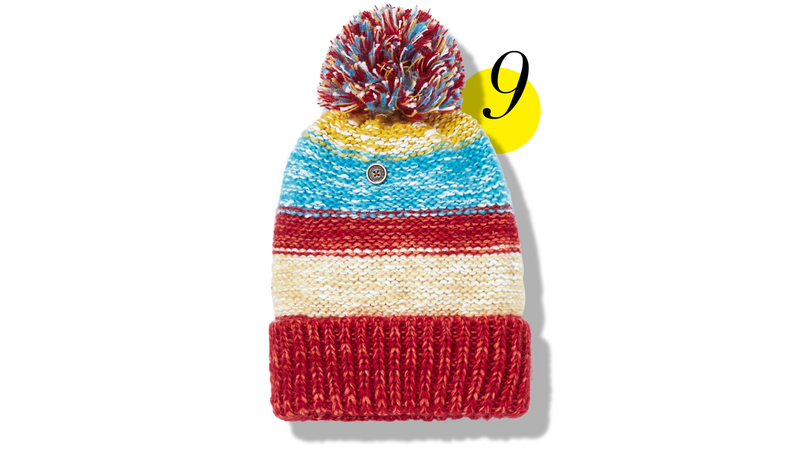 Beanies are back in a big way – and regularly endorsed by the likes of Kendall and Gigi. The trick is to own the look rather than go low-key. Forget subtle black and go for something crazy ironic instead. 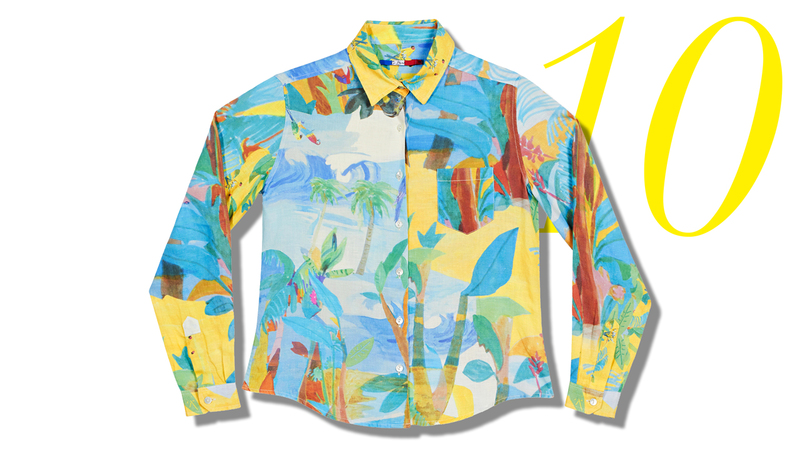 Ditto for this out-there jungle top. Be the happiest thing folks around you see all day.